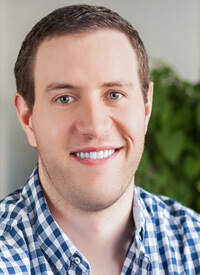 VLAB proudly announces Ethan Smith, VP of Growth, Yummly as the moderator for our upcoming event on November 17. Moderators are key to kicking off VLAB events. They introduce and welcome the panelists, paint the overall landscape and market opportunity for the technology at the heart of the event. The moderator will pose the burning questions for the event: What is the disruption? Why should we care? How will this change what you do, as an investor, entrepreneur, user? A VLAB moderator is the anchor for having a well-organized conversation on stage. VLAB’s moderators will adeptly facilitate a balanced discussion, ensure that everyone’s perspective is heard, and pose the tough questions. Entrepreneurs, investors, or thought leaders with extensive experience with disruptive technologies. VLAB’s moderators are highly knowledgeable about the Silicon Valley community’s startups. That is why, for our next event on mobile deep learning, VLAB is pleased to bring on stage, Ethan Smith, VP of Growth for Yummly where he leads general marketing, SEO, and product management. Active in the Silicon Valley startup community, Ethan currently advises Thumbtack and Wanelo and several other companies about marketing and growth strategy. Welcome, Ethan, we are looking forward to seeing you on the VLAB stage at Stanford University on November 7th. VLAB brings innovators, investors, and industry experts together to further important discussions about entrepreneurship and technological disruptions. This post was written by Elle Rustique, co-chair of VLAB marketing for.